The founding Secretary of the Irish Association of Suicidology Dr John Connolly has said that a remark made by Presidential candidate Gay Mitchell that he would jump off O'Connell Bridge if he was asked any more to smile was "unfortunate". Mr Mitchell had earlier said that, if elected President, he would make a priority of tacking the problem of suicide in the country. He was speaking this evening on Newstalk's 'Right Hook' programme. He said there's a very light side to him that people don't see and he was sick of being asked to smile more. The Taoiseach formally launched Mr Mitchell's campaign today with a call on Fine Gael supporters to throw their weight behind their candidate. Mr Mitchell said combating both suicide and child mortality in the third world would be among his priorities. Earlier today, Independent candidate Mary Davis confirmed that she received a total of €390,633.68 in director's fees from a total of six State and non-State organisations between 2000 and 2010. This afternoon, Ms Davis published P60s and details of payments made to her between 2000 and 2010. Between 2004 and 2009, Ms Davis received a total of €36,529 from the Broadcasting Commission of Ireland, €86,693 from the Dublin Airport Authority, while between 2000 and 2010 she received €59,861.82 from the National Sports Campus Development Authority. During the period in question, Ms Davis also sat on the boards of three non-State companies. She got €133,641.86 from the ICS Building Society, €18,750 from Bank of Ireland Mortgage Bank in 2010 and €55,158 between 2006 and 2011 from The Irish Times Trust. Ms Davis also points out in the statement that between 1996 and the present she has had voluntary positions for 18 bodies or organisations, for which she received no fees. At the start of what is the first full week of the Presidential campaign, Ms Davis attended the Foróige Youth Forum at the Royal College of Physicians. 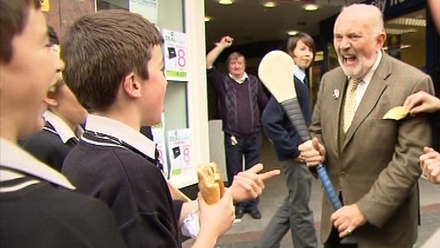 Senator David Norris was in Kilkenny, Wexford and Waterford. Speaking in Wexford, Mr Norris commented on newspaper reports about him making representations on behalf of an Algerian friend of his in the past. Senator Norris said he had not seen the story - but said that he did absolutely nothing wrong. "They seem to have a few things mixed up, I don't know, but I'll have to have a look at it." Independent candidate Sean Gallagher attended an event at St MacDara's Community College in Templeogue in Dublin this morning. He said it was a pity that controversies have so far featured heavily in the campaign. Referring to arguments over Mr Norris' clemency letters and Mr McGuinness' IRA past, he said people are tired of that kind of politics and said the campaign should focus on the real issues and move on. He also said he had begun gathering information regarding his P60 and would publish this shortly. 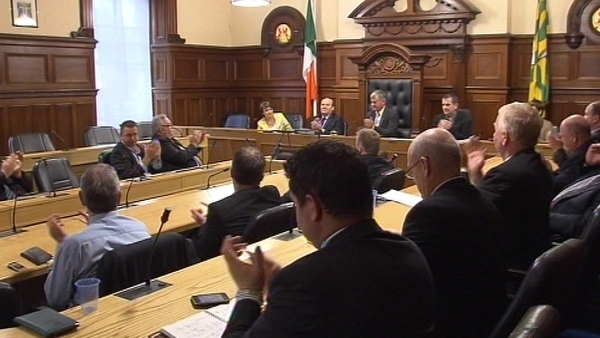 Mr Gallagher was appointed to the board of FÁS in January 2010. 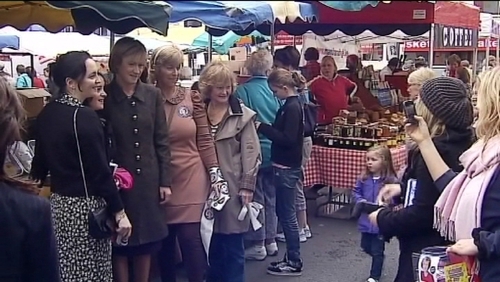 He also served on the Board of InterTradeIreland from December 2007 to 2011. Both were paid positions. Dana Rosemary Scallon has also called for shared posting of all candidate leaflets. Today, Mr McGuinness was focusing on investment and job creation - which he said would be the "cornerstone" of his Presidency. TG4 have confirmed that they have invited candidates for the presidency to take part in a bilingual debate. The debate will be recorded on the morning of the 18 October, subtitled in English or Irish and broadcast the same evening at 7pm.